JA Resorts & Hotels has revealed the sleek new look for JA Hatta Fort Hotel following an extensive renovation project, retaining its Arabian roots yet wonderfully updated with a 21st century look. 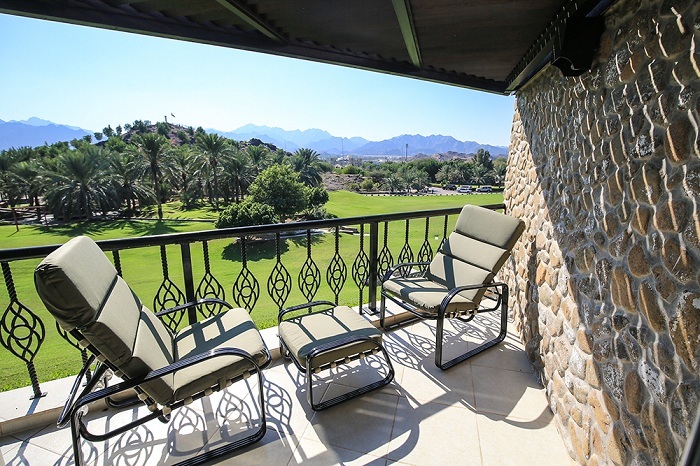 Set in the historic and majestic Hajar Mountains less than a two-hour drive from Dubai, JA Hatta Fort Hotel has been bought up to date and now offers the perfect tranquil getaway. The renovation is well timed, coinciding with a new initiative awarding the Hatta area AED 1.3 billion as part of development plans to boost its credentials as an eco-tourism destination. The refurbishment was careful to remain true to the hotel’s Arabian roots and existing charm while enchanting guests with a refreshed look and heartfelt hospitality, which is at the heart of JARH. JA Resorts & Hotels rolled out a phased approach to refurbishing all 48-deluxe chalet style rooms, two suites and two villas which will be complete by the end of March. In each room, old blends with new as traditional fretwork contrasts with modern furniture and soothing pastel colour palettes. Bathrooms offer soaking tubs and climate controlled showers which, combined with sun-filled terraces and balconies, adds to the hotel’s relaxing ambience. The new design means every room is more family friendly; each has enough space to accommodate two adults and two children up to age six. Set in 80 acres of gardens, the hotel offers various leisure and entertainment choices including two swimming pools, spa, gymnasium, field and target archery range, mini golf course, tennis courts and a mini zoo featuring ducks, goats and camel rides – perfect for families and couples alike. The fine-dining restaurant Jeema has also been refurbished, creating the perfect spot for international food and live music. Meanwhile, Café Gazebo offers all-day dining serving light dishes overlooking the main pool. In the evening, guests can unwind with a cocktail at Sunset Terrace or Roumoul Cocktail Bar. Ideal for combining with a city stay in Dubai or a destination in its own right, JA Hatta Fort Hotel is the perfect spot for a mountain retreat – now more than ever before.